Susan Ritchie is a leadership coach who teaches ambitious professionals how to develop their leadership presence so they can make more impact in their careers and their organisations. In 2002, as a single mum, she moved to Borneo with her 9-year-old son, where she worked as a teacher and educational leader for five years before moving to Belize in Central America. When she returned to live in the UK in 2010, she retrained as a coach and NLP Practitioner and now runs her own leadership development business. 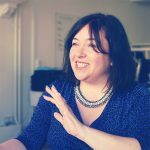 She works with a range of private and public sector clients including the BBC, the Institute of Chartered Accountants, the NHS and various charities, schools and universities. 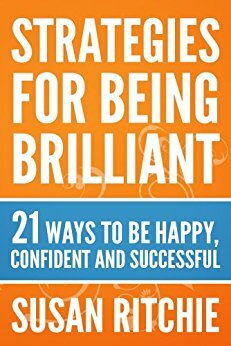 In 2013 she published her first book, Strategies for Being Brilliant: 21 Ways to be Happy, Confident & Successful and who doesn’t want more of that?! Susan Ritchie had a year from Hell. “Two years, actually,” she laughs. She lost her mum when Sue was in her mid-twenties. A month later, she discovered she was pregnant. Four months after having her son, she became a single mum. From that dark time, Susan Ritchie emerged stronger than ever. The big win for Susan Ritchie came after she moved with her son to the other side of the world, from England to Borneo. It was there that she and her son settled into a new life and she truly discovered what she was capable of. Not only did she reinvent herself, but she gave her son a gift that will last him a lifetime. Buy her book on Amazon and email her if you’d like a paperback copy! How can writing help you build an extraordinary brand? Grab my free guide here to find out!